This workout is the absolute best batting practice available today! The workout covers all mechanics and skills required for hitting success. The batter spends just 20 minutes a day, 3 days a week, to become a hitter that dominates the plate. Directions: Each drill targets a specific part of the body to build strength. Drill #1- Top Hand Drill- 10 Swings- Batter should work fast taking swings as quickly as possible. Each swing counts whether the bat hits the ball or not. 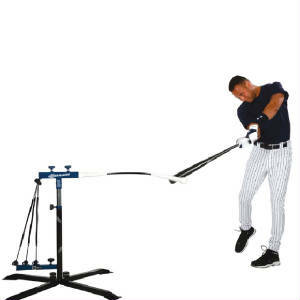 Drill #2- Bottom Hand Drill- 10 Swings- Batter should work fast taking swings as quickly as possible. Each swing counts whether the bat hits the ball or not. Drill #3- Hip Turner Drill- 10 Swings- Batter should make sure that the ball is directed at the front side back hip pocket. The batter should take a swing every 10 seconds. Drill #4- Inside Contact Drill- 15 Swings- Batter should make sure the ball is directed at the batters back foot in the INSIDE CONTACT POSITION. A swing is taken every 10 seconds. Drill #5- Regular Contact Drill- 15 Swings- Batter should make sure the ball is directed at the batters back foot in the REGULAR CONTACT POSITION. Drill #6- Away Contact Drill- 15 Swings- Batter should make sure the ball is directed at the batters back foot in the AWAY CONTACT POSITION. A swing is taken every 10 seconds. Nedco Sports is a fully licensed sporting goods company, established in 1999. Our office hours are 8:00 to 5:00 CST, M-F.